​Leicester City travel to Championship-bound Huddersfield Town on Saturday afternoon as they look to extend their winning run in the Premier League to four matches. The Foxes have hit the ground running under new boss Brendan Rodgers and will expect to secure all three points at the John Smith's Stadium with the home side having lost their last four matches. Defeat away at Crystal Palace last weekend confirmed Huddersfield's relegation to the Championship but manager Jan Siewert will be desperate to build some momentum in their remaining Premier League games ahead of his first full season in charge of the club. The German coach will hope to give the club's loyal supporters something to cheer about this weekend as he looks to lead the side to just their second home victory since his arrival. Check out 90min's preview for Saturday's clash ​below. Huddersfield have a couple of injury concerns with Terence Kongolo (unknown) and Philip Billing (back) both struggling to be available in time to make the squad. Otherwise, Siewert has a fully-fit squad to choose from with Jonas Lossl coming back in for Ben Hamer in goal and Jon Gorenc Stankovic replacing Kongolo at centre back the only expected changes. Harry Maguire is available again following his red card away at Burnley and should come straight back into the side with captain Wes Morgan dropping out despite scoring in the 2-0 victory over Bournemouth last time out. Rodgers has no new injury concerns to contend with and is still only missing long-term absentees Marc Albrighton (hamstring) and Daniel Amartey (ankle). Albrighton is expected to be back in the next couple of weeks but Amartey's injury looks as if it will keep him out for the rest of the season. ​Huddersfield Lossl; Smith, Schindler, Stankovic, Durm; Bacuna, Hogg; Pritchard, Mooy, Lowe; Grant​. ​Leicester ​Schmeichel; Pereira, Evans, Maguire, Chilwell; Ndidi, Tielemans, Maddison; Gray, Vardy, Barnes. These two sides have faced each other 62 times previously with Huddersfield taking most of the spoils, beating Leicester 28 times while they have lost on 24 occasions. There has been 10 draws in the fixture's history. When the sides have met in the Premier League, however, it has been a different story with Leicester winning two of the three games, including a 3-1 victory at the King Power earlier on in the season. The other match ended as a draw. Huddersfield's results in their last five matches has reflected their entire season with just one victory and four defeats. That victory over Wolves is their only win in 2019 and was their first in the league since their previous fixture against Wolves in November, when they won 2-0. Leicester's form has been excellent since Rodgers took over five games ago, winning four and losing just once away at Watford. In that run they have scored ten times, conceding only five and keeping their first clean sheet under Rodgers last time out. Everything points to Leicester continuing their excellent recent run of form and making it defeat number 25 of the season for the home side. 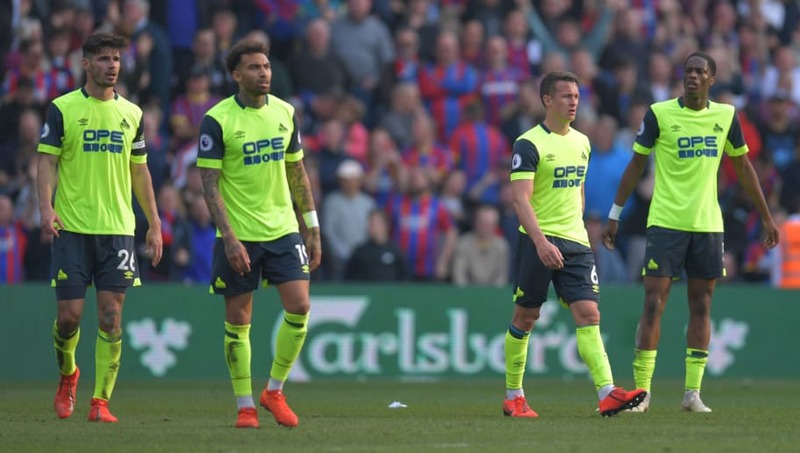 Huddersfield's relegation may allow the players to release the shackles, however, and they will be keen to send their long-suffering fans home happy following such a dire season in which they have tasted the winning feeling on just three occasions. The class of the visitors should be too much though and should travel back home with all three points.